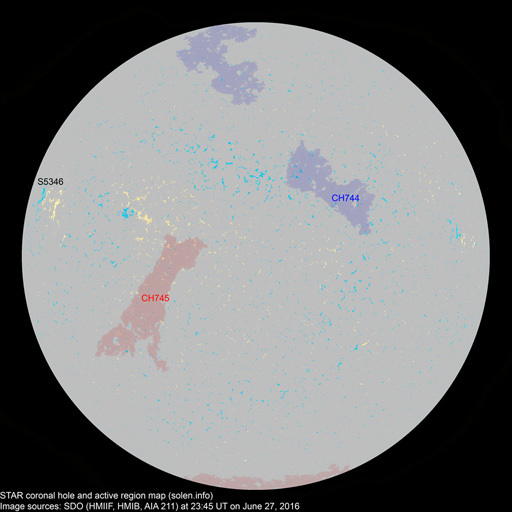 Last major update issued on June 27, 2016 at 04:45 UT. The geomagnetic field was quiet to active on June 26 under the influence of a high speed stream from CH743. 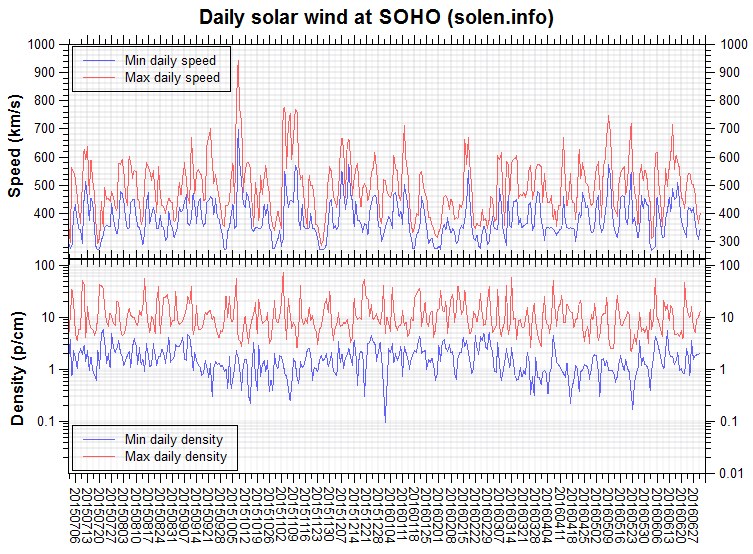 Solar wind speed at SOHO ranged between 406 and 506 km/s. 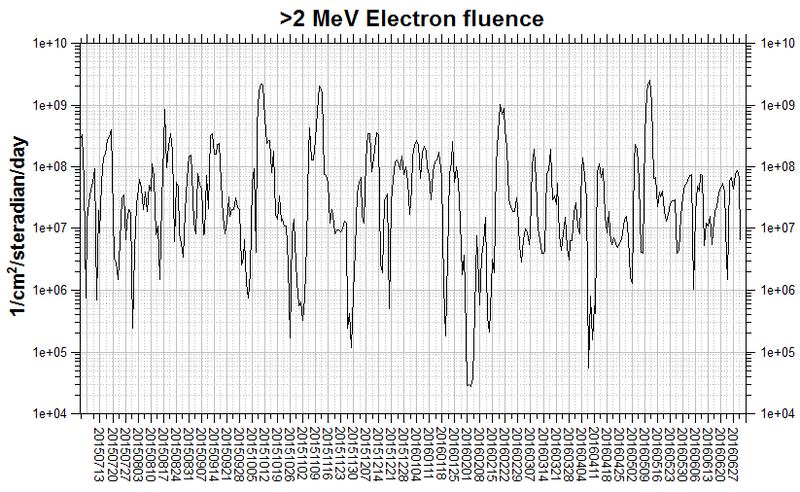 Solar flux at 20h UTC on 2.8 GHz was 76.6 (decreasing 9.6 over the last solar rotation). 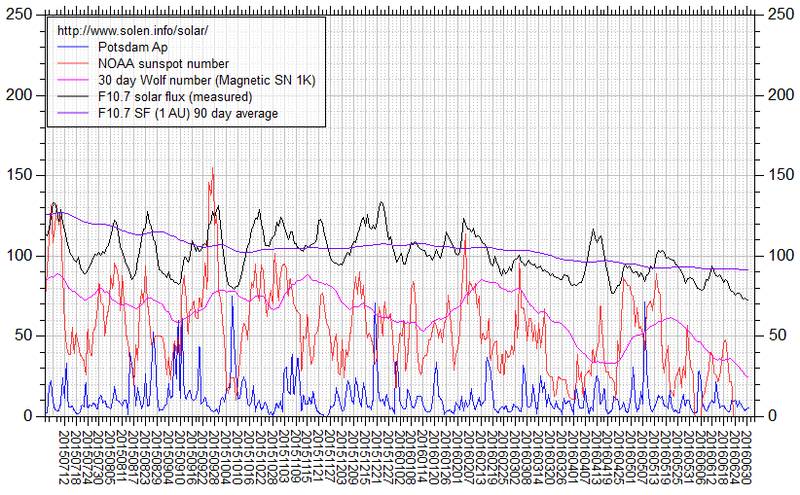 The 90 day 10.7 flux at 1 AU was 91.7. The Potsdam WDC planetary A index was 9 (STAR Ap - based on the mean of three hour interval ap indices: 9.3). 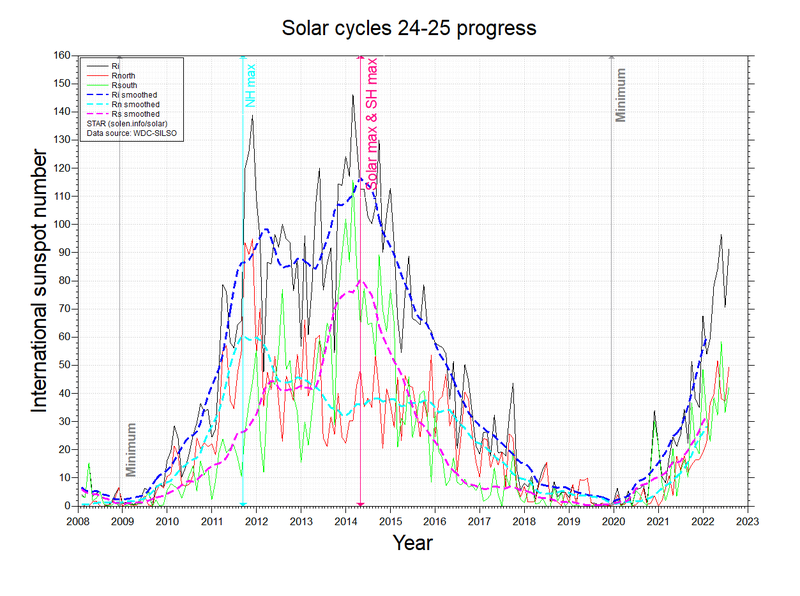 Three hour interval K indices: 21112334 (planetary), 22212324 (Boulder). New region S5344 [N13E27] emerged early in the day with a tiny spot. A northern hemisphere coronal hole (CH743) was Earth facing on June 21-22. 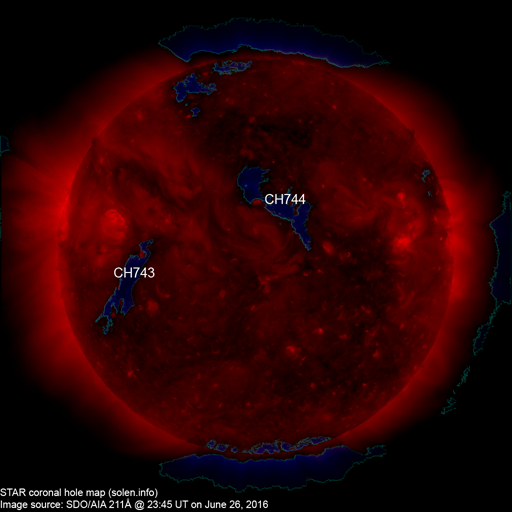 Another northern hemisphere coronal hole (CH744) rotated across the central meridian on June 26-27. The geomagnetic field is expected to be quiet to unsettled on June 27 due to effects from CH743 and quiet on June 28. Quiet to active conditions are possible on June 29-30 as a high speed stream from CH744 becomes geoeffective.